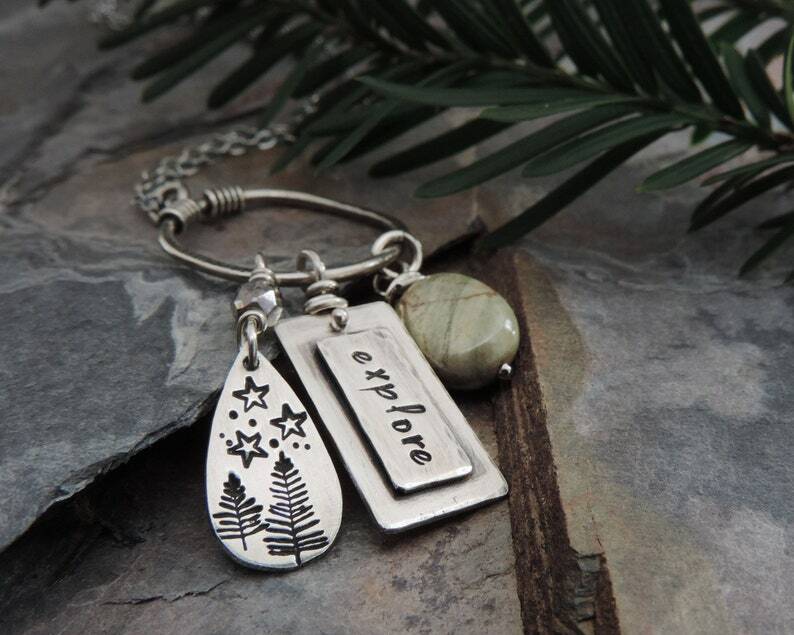 Outdoor lovers will appreciate this expressive charm necklace with its double layer tag stamped with the word "explore." The tag dangles from an organic textured circle and is joined by a teardrop shaped charm hand stamped with pine trees and stars along with a beautiful silvery green wire-wrapped silver leaf jasper gemstone. Available with a sterling silver chain or leather cord in your choice of lengths (18" shown). It fastens with a spring ring clasp. The organic charm ring measures 3/4" in diameter and the full pendant hangs 1-5/8" from the cord.